The Columbus Clippers beat the Indianapolis Indians, 4-3, tonight at Victory Field to take a 1-0 series lead and create a tie for first place in the International League West. 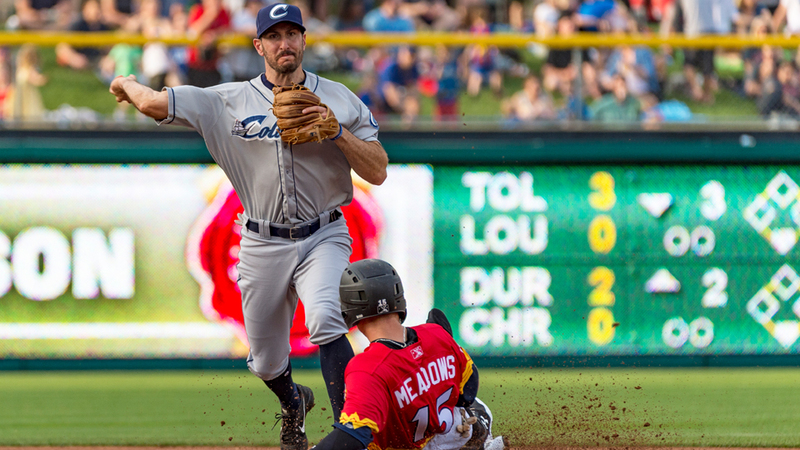 A good pitching effort and timely offense propelled Columbus to the big win, as they set themselves up with a chance to take the division lead over Indy with a win in game two. Mitch Talbot had the start for the Clippers and got run support from his side in the fourth inning on a throwing error by Indians' first baseman Wyatt Mathisen. Joe Sever grounded to him, but his throw went awry, allowing Bobby Bradley to score for a 1-0 lead. After that, it would be Bradley providing Talbot with the support, as he cranked a solo homerun in the sixth inning to double the Columbus lead at 2-0. It was his second as a Clipper. Talbot was relieved by Tyler Olson in the bottom of the sixth, having scattered six hits throughout five shutout innings. He struck out four and walked two. Olson proceeded to toss a clean sixth before the Clippers made it 3-0 in the seventh, thanks to Adam Rosales's single to score Brandon Barnes. The Indians ended the shutout in the bottom of the seventh when Clippers' reliever Jon Edwards ran into some trouble. With two on, Pablo Reyes doubled to left to score Jason Martin, making it 3-1. Ben Taylor then took over for Edwards, and the next batter, Max Moroff, singled in another to pull within one at 3-2 before Jose Osuna tied the game with an RBI single in the following at-bat. The game would go to extras, but the Clippers immediately took a 4-3 lead in the tenth. With Connor Marabell on second, per Minor League Baseball's new pace of play rules, Rosales singled off Indians' reliever Alex McRae to score him and regain the lead. Evan Marshall closed the door after that for the game one victory. The teams will do it again tomorrow at 7:05 at Victory Field.